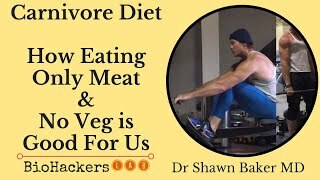 Listen to Dr Shawn Baker explain the health benefits of eating a carnivore diet which is mainly meat and water & no vegetables or fruit. Dr Shawn Baker is an orthopaedic surgeon based in California and an avid carnivore diet advocate. 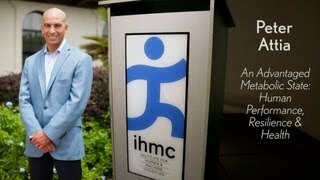 Dr Baker shares some of the reasons why he feels eating an all meat diet is better than being low carb diet or keto diet. 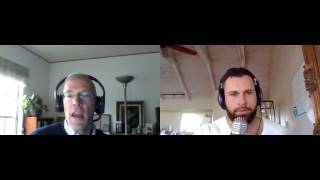 He helps to explain the definition of the carnivore diet and the why he prefers using the term carnivore diet vs zero carb diet. We also go into understanding the health benefits of & how to eat a diet that contains no vegetables or fruit. We then find out about some of his personal health changes when he changed his way of eating to an all meat diet. This includes an improvement in his strength and muscle performance even as a Master Athlete world record holder in the 50+ category. 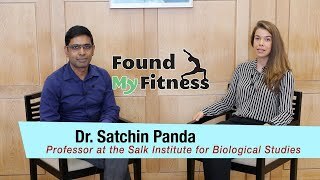 Dr. Rhonda Patrick speaks with Dr. Satchidananda Panda, a professor at the Salk Institute for Biological Studies in La Jolla, California. Satchin's work deals specifically with the timing of food and it's relationship with our biological clocks governed by circadian rhythm and also the circadian rhythm in general. 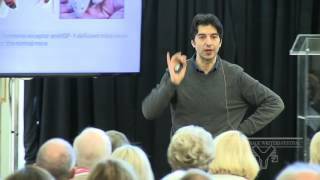 <br>In this video they discuss...<br> The fascinating history of experimentation that ultimately elucidated the location for the region of the brain necessary for a properly timed sleep-wake cycles.<br>The relationship between our body's "master clock" and it's many peripheral clocks.<br>Why infants sleep so intermittently, instead of resting for a longer, sustained duration like healthy young adults... and why this sustained rest also goes haywire in the elderly.<br>The fascinating work Dr. Panda took part in that lead to the discovery of a specialized light receptor in the eye that sets circadian rhythms and is known as melanopsin.<br>The important relationship between the relatively light insensitive melanopsin, which requires around 1,000 lux of light to be fully activated, and its control of the circadian clock by means of activation of the suprachiasmatic nucleus and suppression of melatonin.<br> The effects light exposure seems to have on next-day cortisol, a glucocorticoid hormone that regulates around 10-20% of the human protein-encoding genome. <br> The clever experimental design by which Dr. Panda and his colleagues discovered that certain circadian rhythms, especially of the liver, are entrained by when we eat, instead of how much light we get. This underlines the fact that, when managing are circadian rhythm, both elements are important!<br> One of the more surprising effects of time-restricted feeding in mice eating a so-called healthy diet: increases in muscle mass and even endurance in some cases.